Commissions are always an exciting adventure! I love working with clients to bring a vision they have to life. Its an honour to know they entrust me with such. 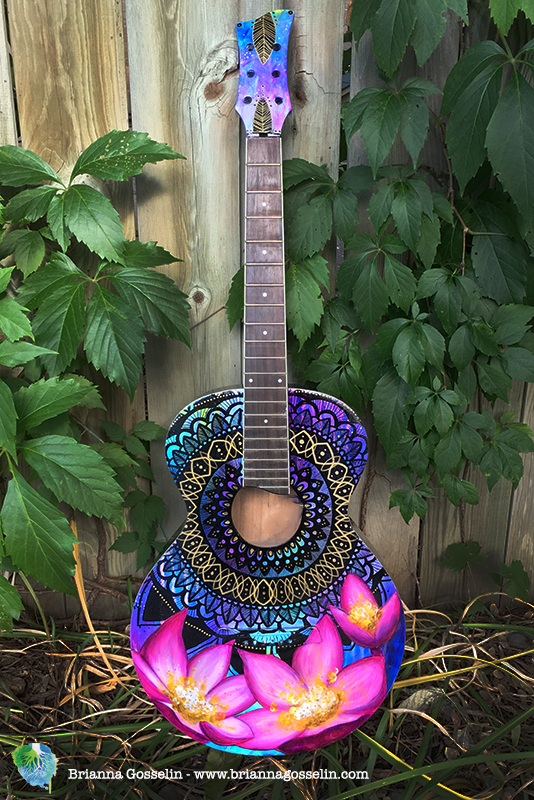 This summer I had a special request come to me. 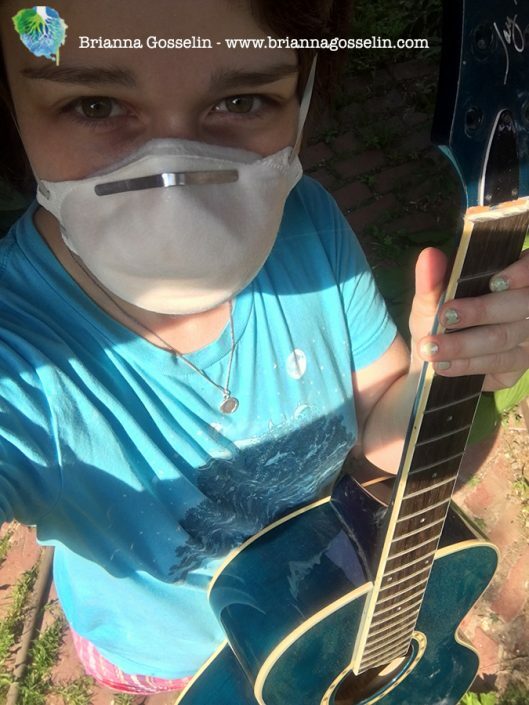 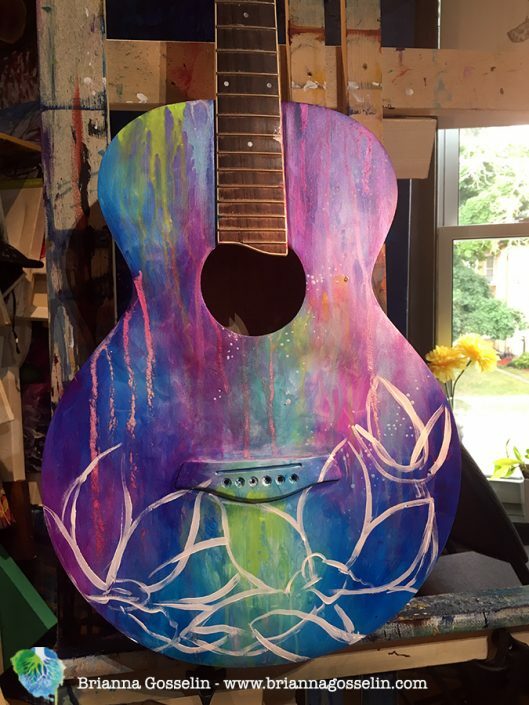 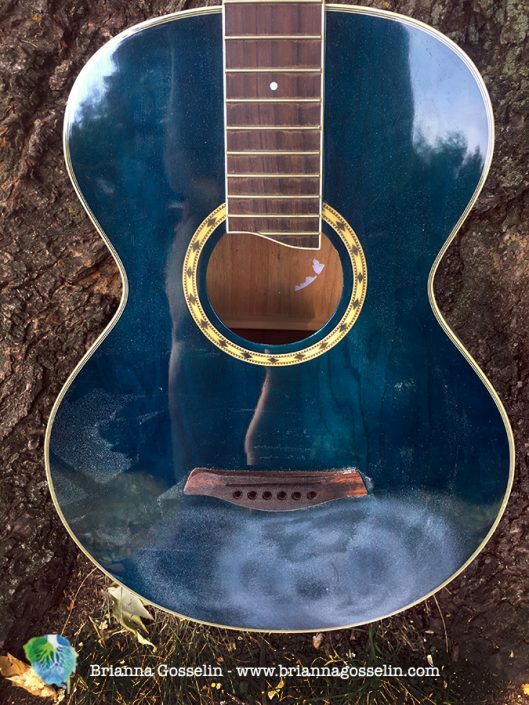 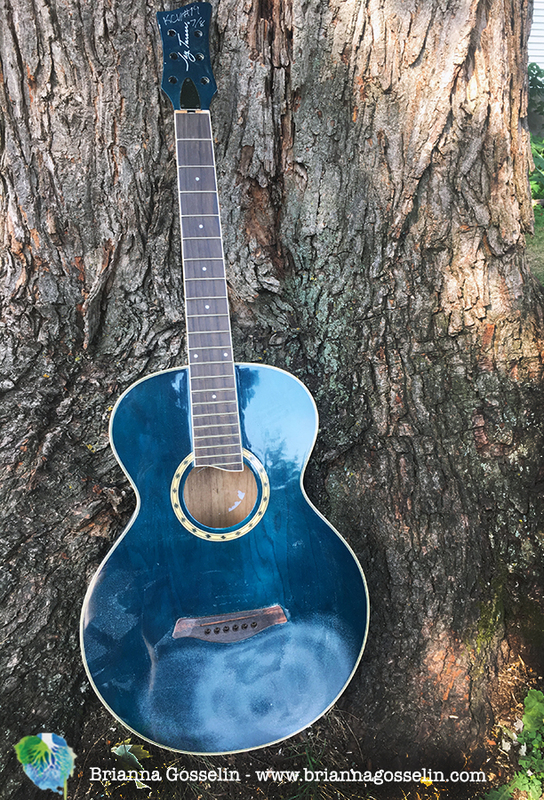 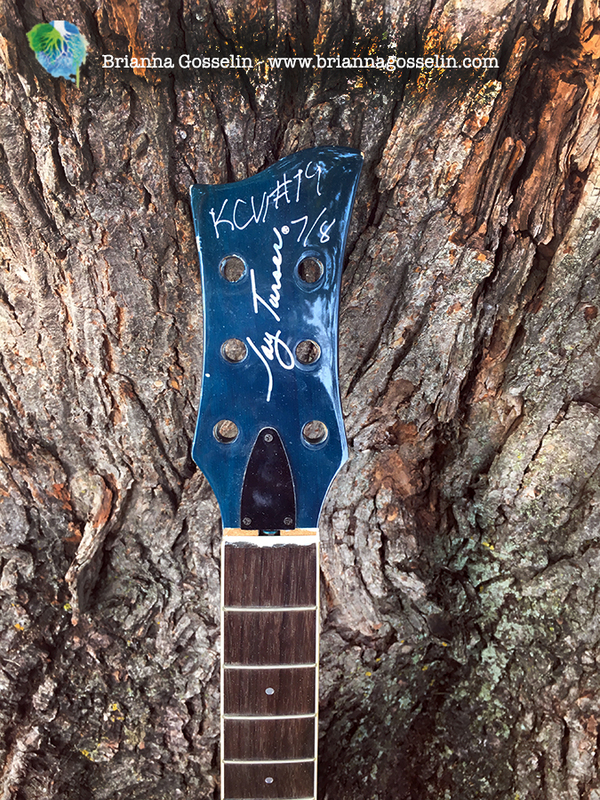 To take a beloved, used guitar and breathe new life into it. One with vibrant colours, peace and the spirit of music. 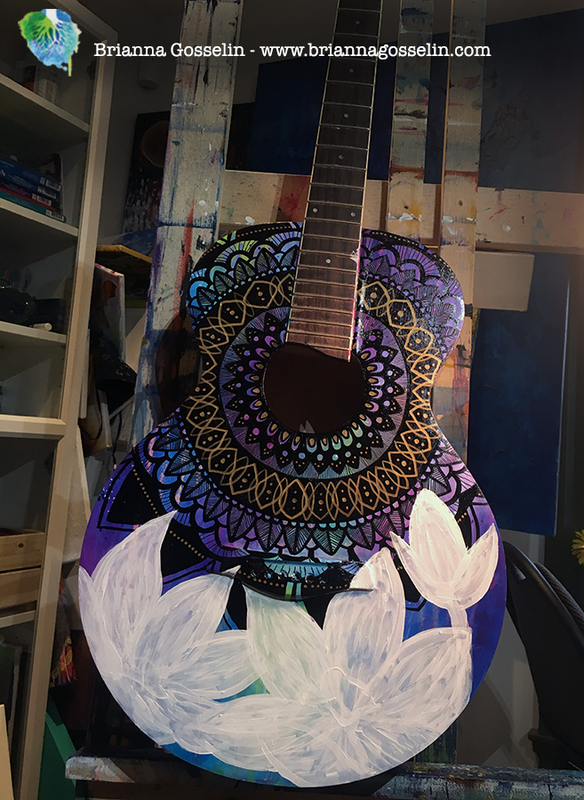 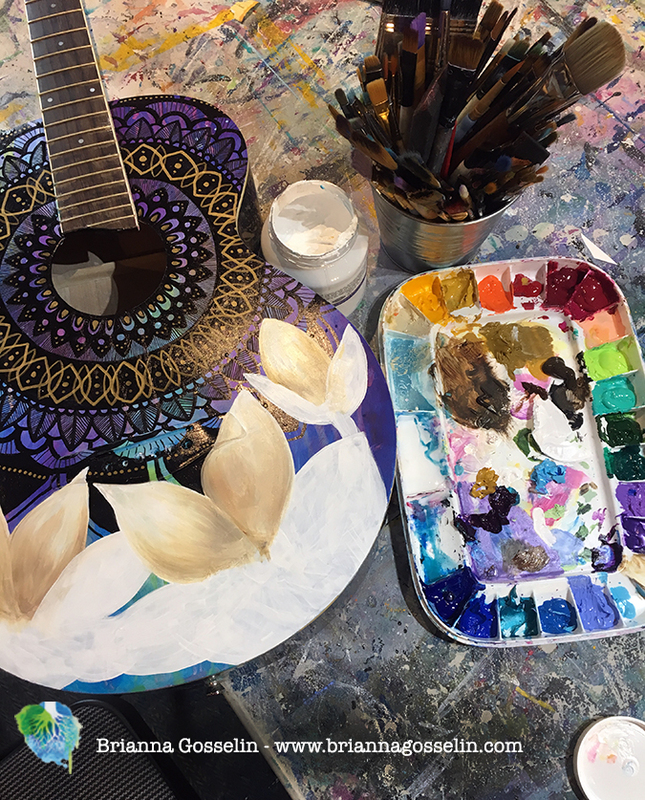 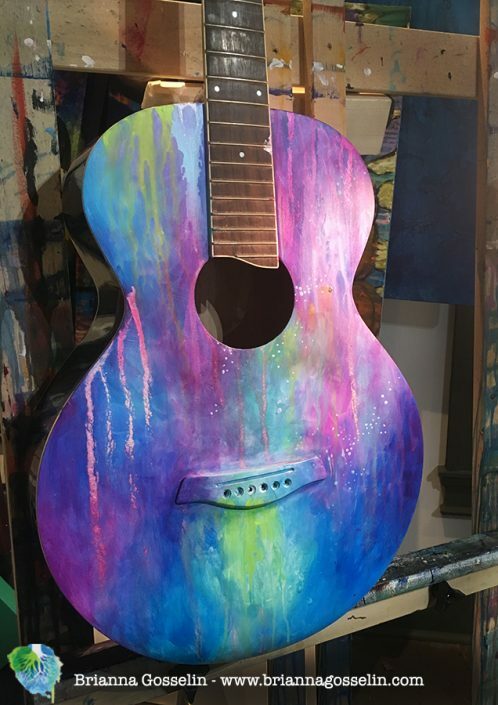 Together we discussed what she wished for the guitar to visually represent and Im told we achieved it 🙂 Which is always a beautiful and rewarding thing. 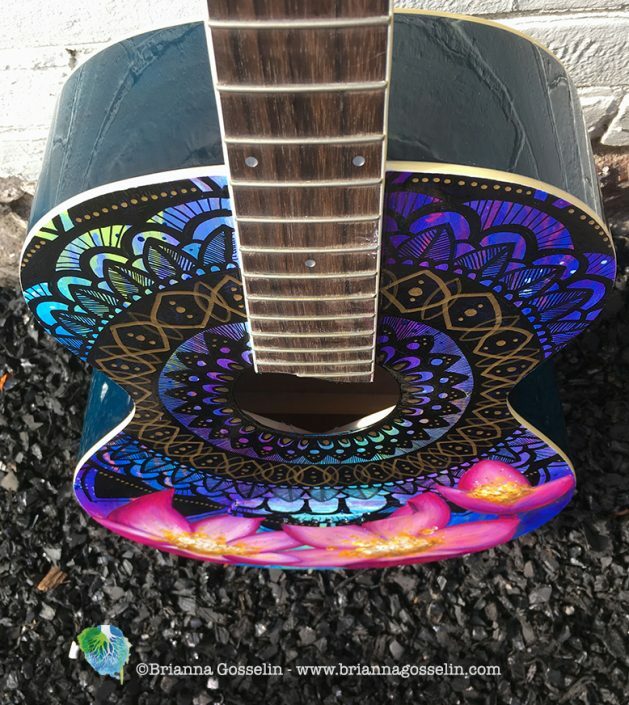 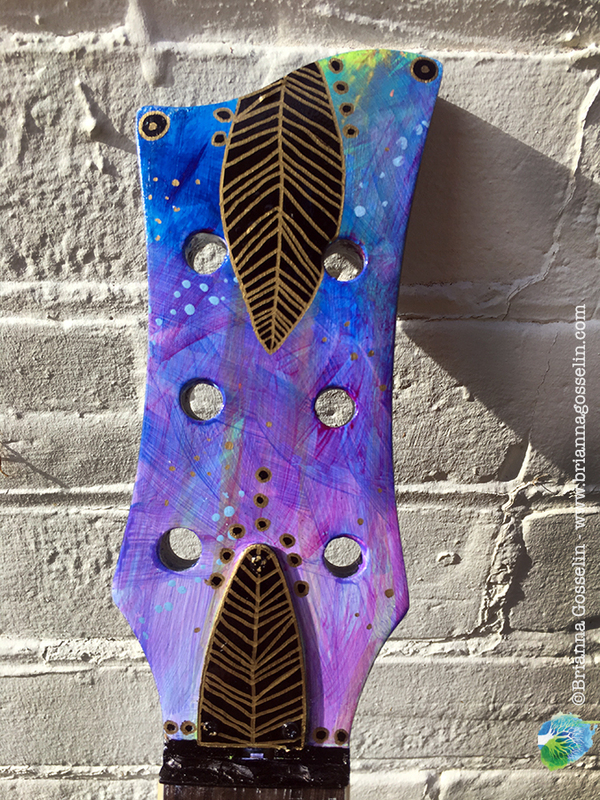 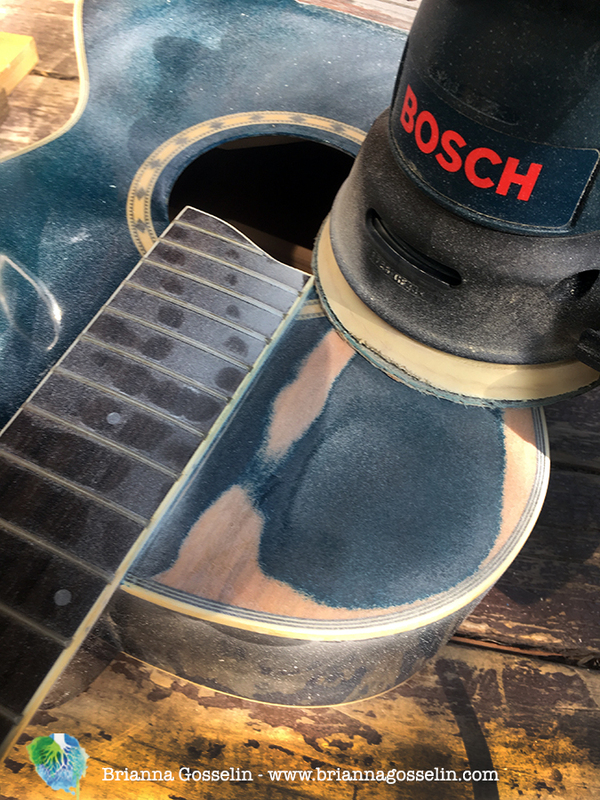 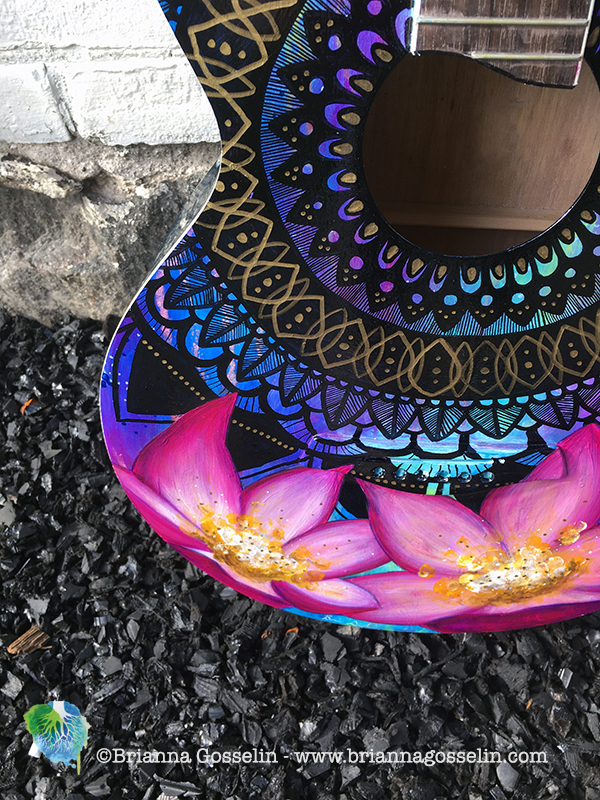 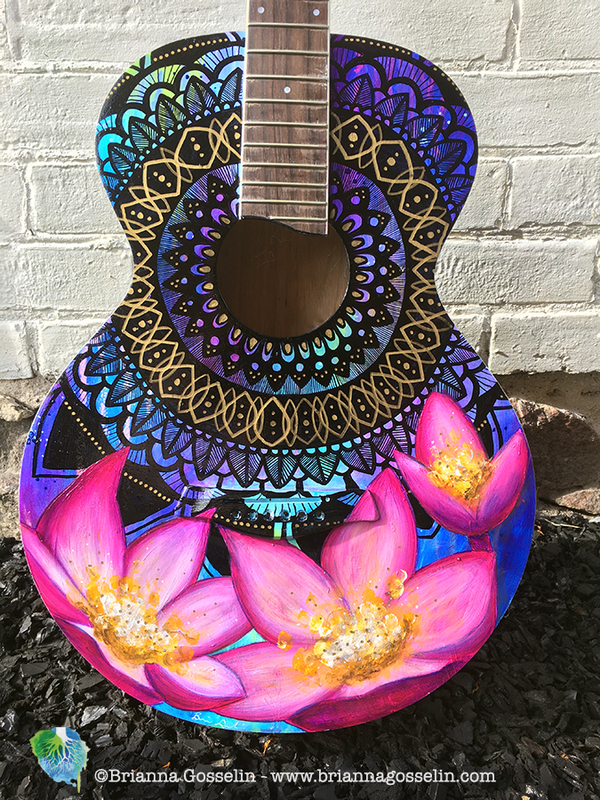 Here is the journey from start to finish of this unique guitar. 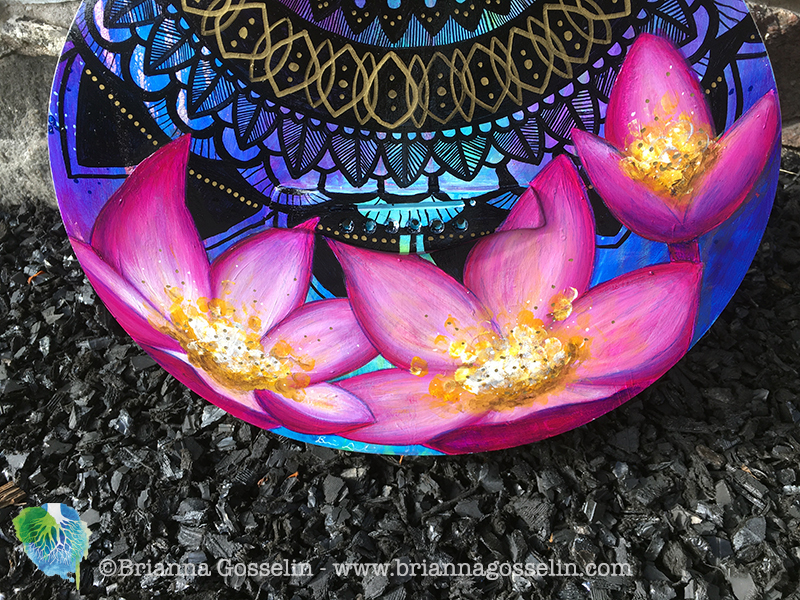 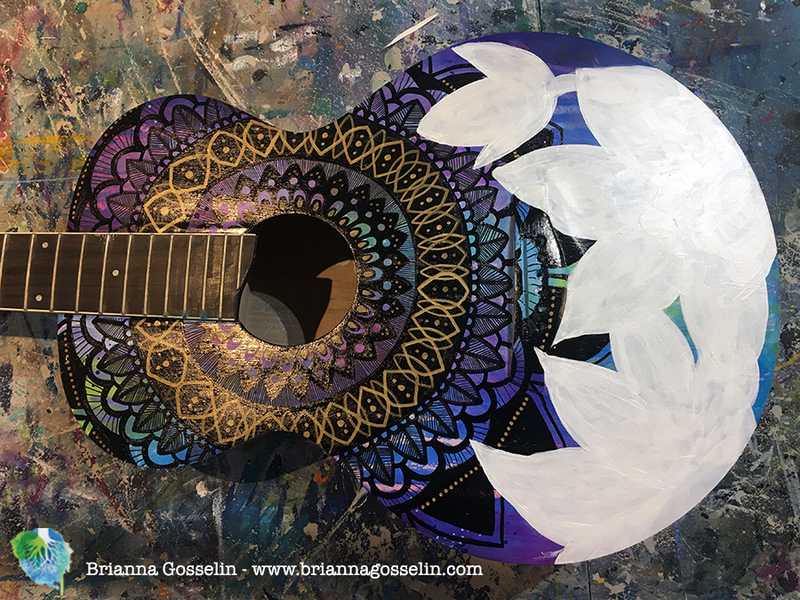 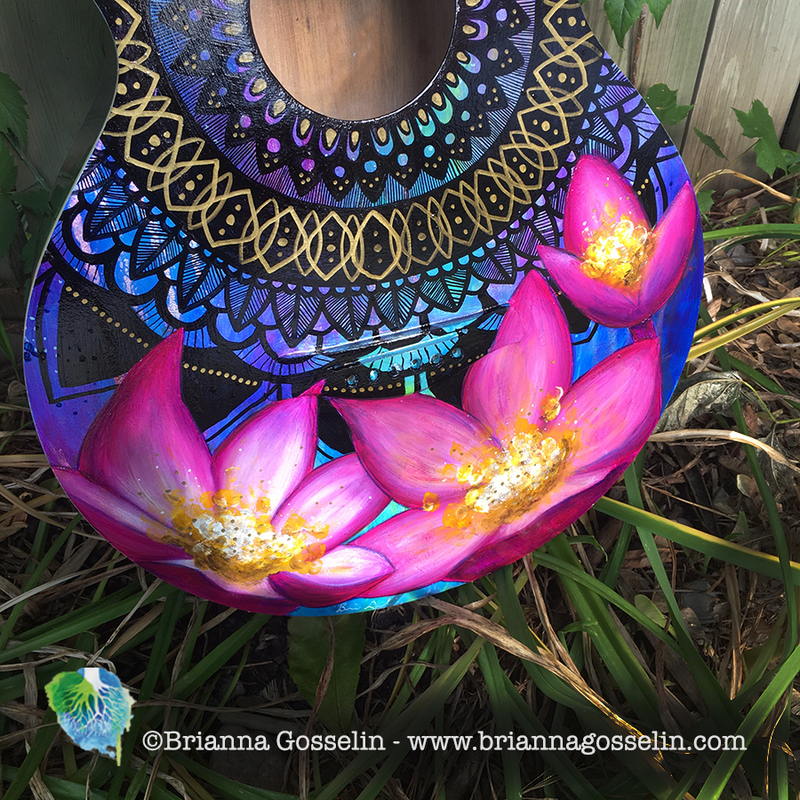 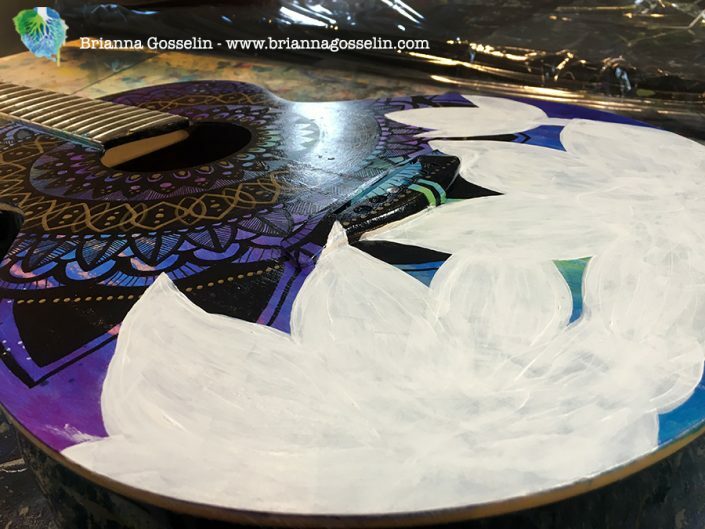 If you are interested in a commission, please don’t hesitate on sending an email to art@briannagosselin.com. 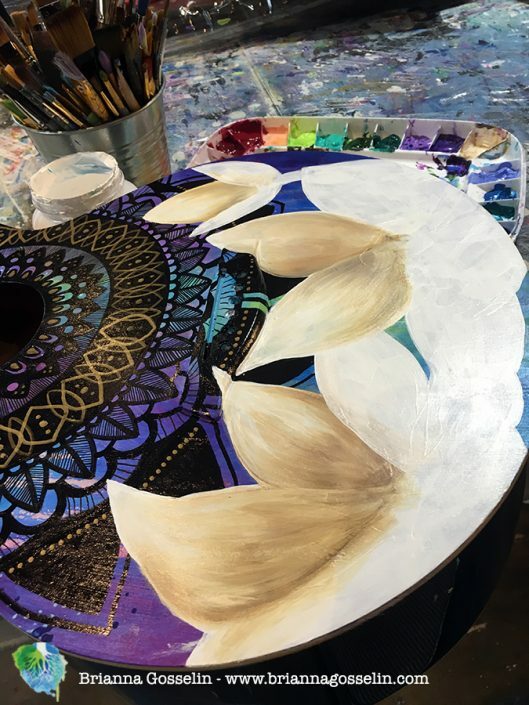 We can begin discussing your project, the budget you will be working with and bring your vision to life!